Swooning over British Royal family’s jewellery from inception? Well, you are not alone in this stride. The Royal’s conspicuously extravagant jewel stands for immense luxury that only Royals have the access to. Clearly, making the world go envy and people weak at their knees. Boasting a rich heritage and extremely rich masterpieces, Royals possess a veritable arsenal of spectacular tiaras, necklaces, brooches and to die for rings. Of course, a dream wishlist like this is only attainable in dreams. But that’s that, no bad in dreaming, at least! 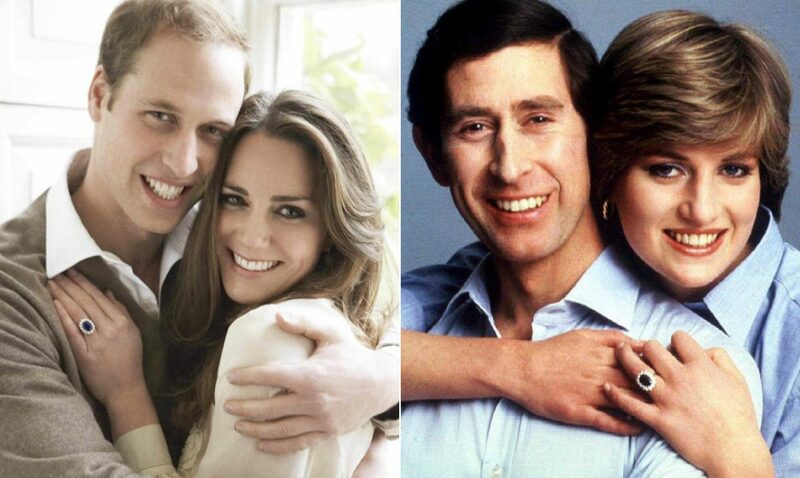 There lies an interesting story for the illustrious sapphire ring that Princess Diana and now Princess Kate Middleton flaunts in all its glory. Filling Queen Victoria’s fetish for sapphires, Prince Albert had bought her so many sapphires. Seen Queen Elizabeth’s influential brooch that she wears regularly? It was passed down to her by Queen Victoria. Prince Charles got the inspiration for Sapphire engagement ring from her mother and bought Princess Diana the magnanimous sapphire diamond engagement ring. The glitzy fringe tiara was given to Queen Elizabeth on her wedding day but unfortunately, it got broke by the hairdresser. As said, it was fixed on the very same wedding day and rest is history. Queen got married flaunting the vivacious tiara. There is no denying the fact that the treasures of world’s most sought-after and precious jewellery, so proudly owned by Royals is updated often when passed down. Yes, the classic heirlooms are remodelled or updated to make it relevant for each owner. 4. Princess Alexandra of Denmark got no jewellery with her when she came to the U.K.
Princess Alexandra of Denmark, later Queen Alexandra of Great Britain set great fashion trends across the world. But little did we knew, that she when got married in the year 1863 literally got no jewellery with her. Later her colour coded jewellery collection speaks volumes about her gem obsession for rubies, emeralds, and sapphires. Yes, you heard it right. Flies! In Queen Victoria’s time, flies were used as a really popular motif on jewellery as it represented humility. Don’t get amazed if you find “Flies” as a motif inspiration on many treasures from Royal’s jewellery. Wrapping it up, we can say – the prominent and flagrant Royal’s jewellery collection has a massive history and biting down on these little facts is no wonder a treat for many quenched jewellery connoisseurs.